We’re making you the best you can be. A nuisance call saw Captain Gilbert responding to an Apex teen skateboarding at his home. “I told him he couldn’t skate in his own driveway. That frustrated me and it frustrated him. He asked me, ‘Where am I supposed to skate?’ I said, ‘I don’t know, but you have to figure it out.’ When I rode away that didn’t sit well with me. So I drove back to his house and I told him, ‘we’re going to work on this project together’,” said Gilbert. After much discussion over pizza, Jacques and a group of local skateboarders came up with a solution: Apex needed a skatepark. Two years later, the Rodgers Family Skate Plaza is bustling with passionate teens sharing their skills and bonding over the board. 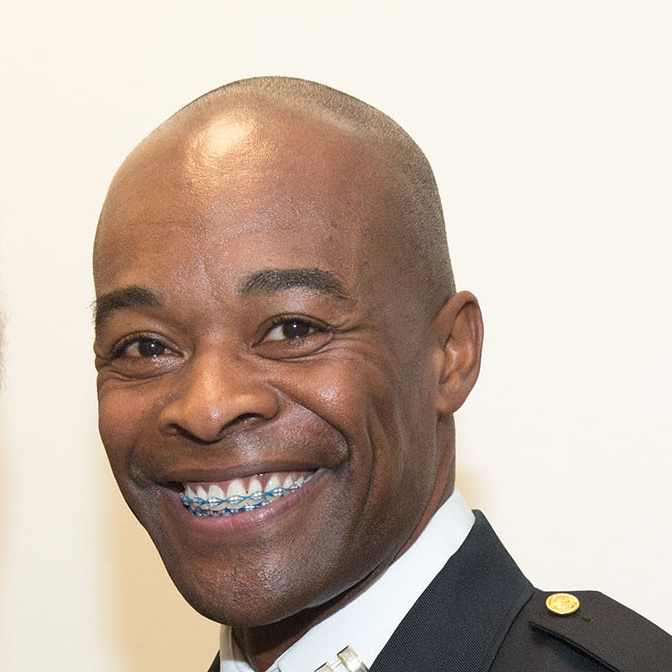 In fact, in 2015, Jacques was recognized as a Champion for Change at the White House for positively connecting law enforcement with the community. Humbled and inspired by the impact his actions had on the community, Jacques wasn’t ready to stop there. Identifying the need to nourish positive connections between the community and police, and recognizing that our police force currently struggles with the humanity of law enforcement, he engineered a program determined to train new police officers to respond to conflict with compassion and respect. This is Blue Lights College. You are the solution. Jacques Gilbert has been a police officer with the Apex Police Department for 27 years. He currently serves as the Criminal Investigations Division Commander at the rank of Captain. In addition to graduating in the 220th FBI National Academy, he has written three books, is a certified personal trainer, and is the CEO of TheVine919. 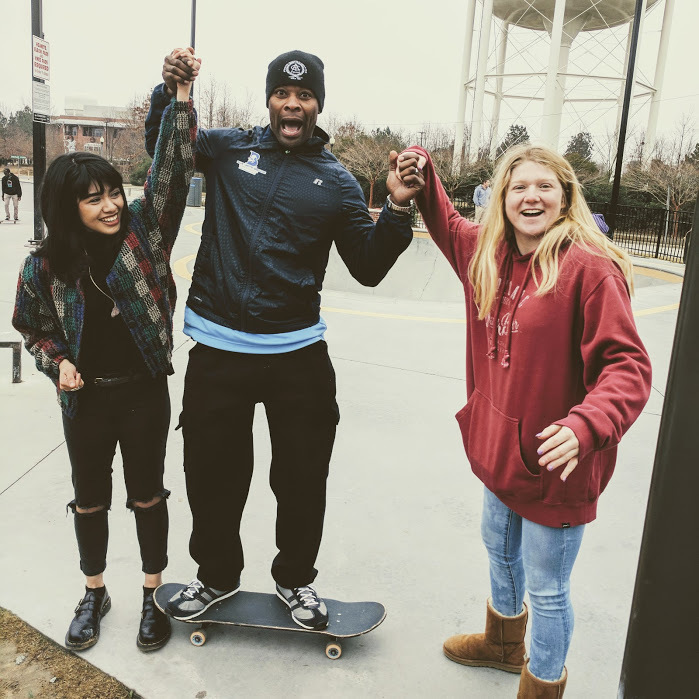 In 2015, Jacques was recognized by President Obama as a Champion for Change due to his work with the Rodgers Family Skate Plaza in downtown Apex, and he was also recognized by the city with the Community Service Award. And in 2016, Jacques was awarded Citizen of the Year by the Apex Chamber of Commerce. Jacques is also a North Carolina Certified Police Instructor for Subject Control and Arrest Techniques, Unarmed Self-Defense, SPEAR, TASER, Physical Fitness, Rapid Deployment, Officer Survival I, and Officer Survival II. Our physical campus is nestled in downtown Apex, southwest of Raleigh, North Carolina. When you have in-person classes, you’ll come here. We promise you’ll love it. In 2015, Money Magazine listed Apex, North Carolina as the #1 Best Place to Live in America. And after you finish your time at Blue Lights, you’ll head to Wake Tech – on us. Supported by our brothers in blue. The following departments believe in what we do. WORLD-CLASS EDUCATION AT YOUR FINGERTIPS. After your time at Blue Lights College, you’ll seamlessly continue your education by completing your Basic Law Enforcement Training (BLET) at Wake Technical Community College in Raleigh, North Carolina. Wake Tech is North Carolina’s largest community college, serving more than 70,000 students annually with five campuses, three training centers, multiple community sites, and a comprehensive array of online learning options. Wake Tech is fully accredited and offers more than 200 associate’s degrees, diplomas, and certificates that prepare students for university transfer or immediate employment. Wake Tech also offers non-credit continuing education programs: customized workforce training, small business support, public safety officer training, basic skills courses such as English as a Second Language and high school equivalency preparation, and other courses for personal enrichment. Your continuing education at Basic Law Enforcement Training at Wake Tech is free – no strings attached. We’re not focused on money – we’re focused on getting you prepared for the rest of your life. Every penny donated to us goes right back into our mission. Instructors from Blue Lights College are real-world professionals with many years of experience in their career fields. They’re successful in their careers, and they’ll teach you how to be a success, too. At Blue Lights College, our instructors don’t just teach a course – they live it.